What Does An Air Exchanger Do? 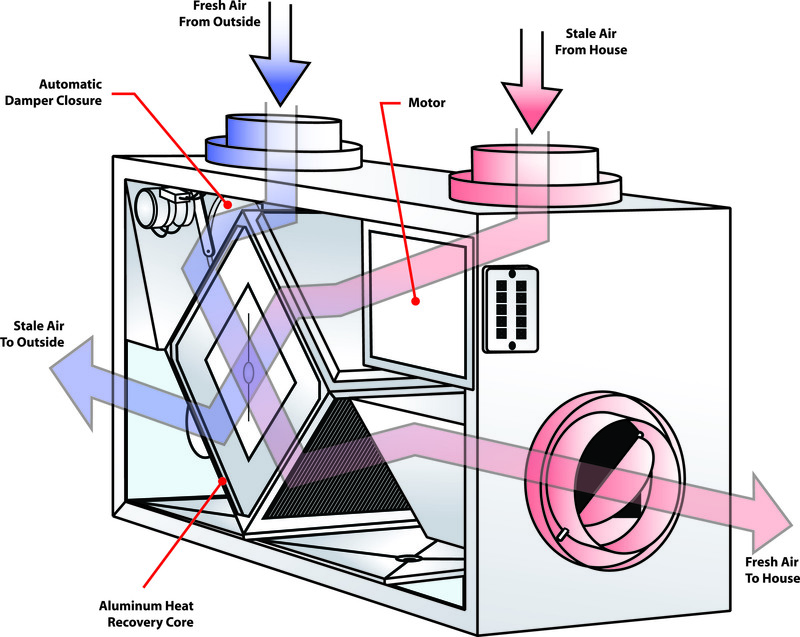 Here at Pro Duct Solutions, we get asked often by our customers "how does an air exchanger work?". We've decided to make a article explaining the importance of Air exchangers. R2000 homes are the most energy efficient homes on the market. These homes were designed in 1997 to keep in all the heat during the winter, built with added insulation and thermal poly wrap, these homes make sure to keep in the warm and block out the cool. When these homes are too tightly built it creates moisture and condensation during the winter which is why they came out with air exchangers. The purpose of these air exchangers are to provide fresh air into the air system along with dehumidifying the existing air to ensure your home isn't creating mold growth. These systems also clean the existing stagnant air inside the home, allowing fresh air to move around freely. These systems are very energy efficient and can be set to any level of humidity in your home, It simply gets connected to your existing ductwork on your furnace. Do I Need An Air Exchanger? 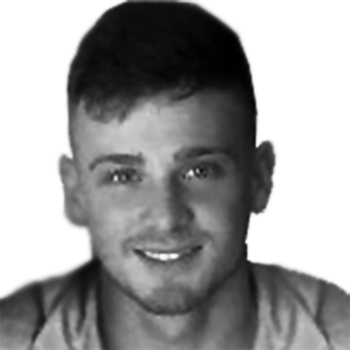 You might be wondering "Do I need an air exchanger,?" well there are two simple ways of finding out. The first method of finding out if your home needs a air exchanger is seeing if your home is an R-2000 home. This means adding an added layer of insulation and Thermal poly around the whole house. If so then your home might be creating too much moisture and condensation. The second method would be getting one of our trained specialist in moisture control to take a thorough analysis of your home. For best Health & comfort in your home we recommend 35-50% RH. If you feel that your home isn't getting enough fresh air then you could consider an air exchanger, Some people may ask “Why don't I just open the window?”, the air exchange will dehumidify the air coming from the outside to ensure not too much humidity gets inside your home. Should I Run The Air Exchanger During Winter? 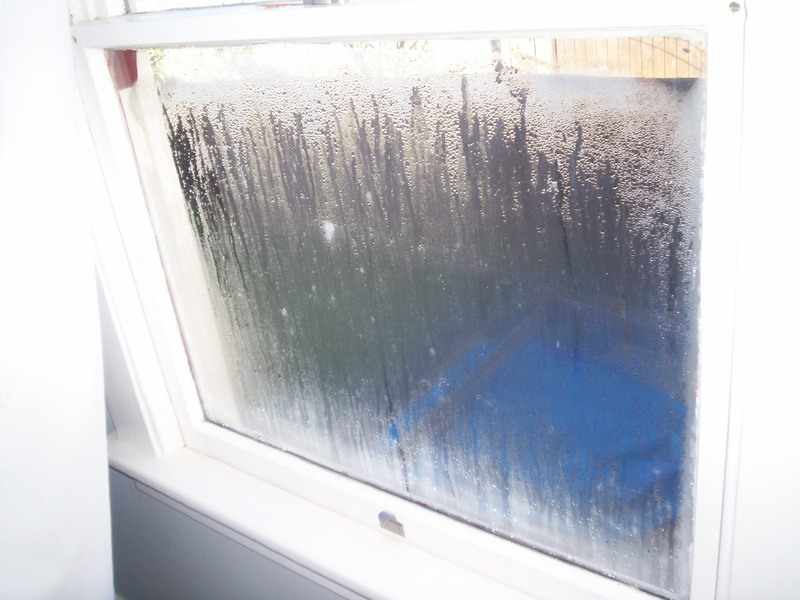 Every home is different depending on how much condensation builds up during the winter, Simple answer is yes. During the winter, your home will experience high amount of condensation due to the insulation and moisture barriers (Thermo poly). You'll want to set your Air exchanger to the proper humidity level for the winter. Along with everything in this world there is some maintenance work to be done on these units. We recommend getting the filters cleaned every year by one of our trained technicians. The process includes taking apart the units filter components with thoroughly cleaning/ drying them. Our technician will then take a look at the vent covers on the outside to make sure they are working proper and haven't been damaged. We finish off by preforming a function test to ensure the thermostat is in working order.